What delightful Easter decor... You have inspired me to pull the rabbits out of the hat and start decorating...I'm way behind ... One can only blame the weather for so much and then get on with enjoying the celebration in life ...Easter is a HAPPY one. Your macKenzie eggs brought a smile to my face with their little child like antics and the black and shite checker theme... Thanks for sharing ...I'm following your artistic quidance and jumping in with both feet..forward hoe with the Easter Egg tree. Oh thank you Zaa! I’m glad I could be of inspiration to you! Awww so cute. I love your Easter Tree. So pretty. Thank you Kris! Happy Thursday to you too! Liz, your MC pieces are darling! The black and white bows are great companions to those pieces. The sweet little bunny with the cabbage vase of tulips looks great at your entry. I have put out my bunnies and Easter decor and should post about them soon. Have a nice evening. Liz, I love the tree filled with your bows and beaded eggs! 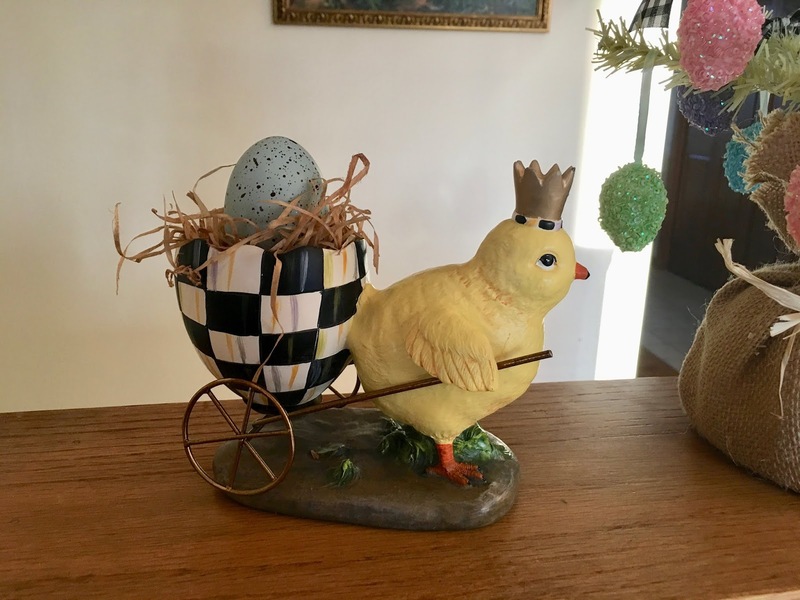 The MKC bunny and chick are so adorable, perfect for Easter! You have your home all decorated and it is lovely! 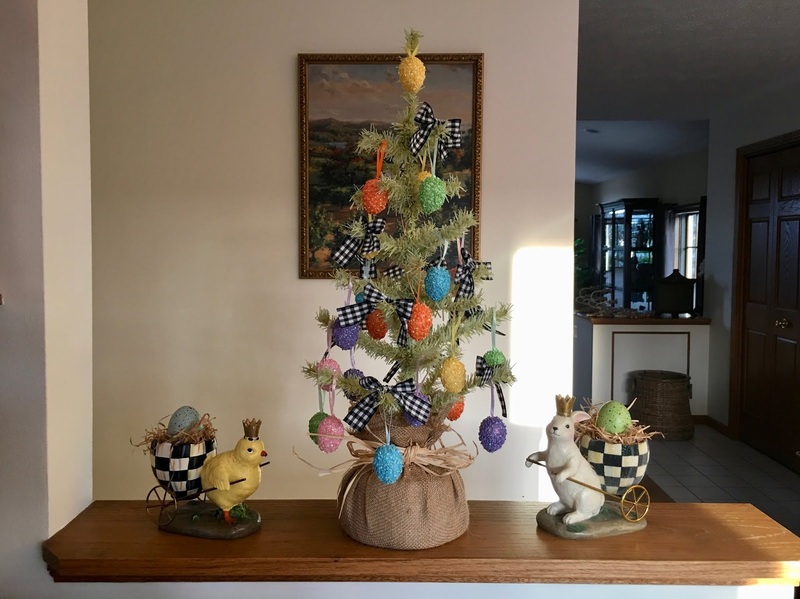 I find your Easter tree totally delightful -- filled with all the colors of spring and of course the bunny and chick set it all off perfectly! Love the blue & white on the entry Table! That sweet bunny and the pink florals are a perfect Easter touch! I see you love MKC too! I have the same 2 collectibles, and they look so adorable with your Easter tree with black and white check bows! So cute Liz!